Since I started this blog, I have developed this tendency of asking fellow Sri Lankans I meet to contribute one of their favourite recipes to the blog. One such instance was when I invited my Mandarin language classmates to contribute to the blog and starting today, over the next few weeks, the guest posts will feature a few recipes shared by my class. Today’s guest blogger is Hasini Wanninayake. She is currently an international studies undergraduate at Kelaniya university and plans to join the foreign service after her graduation. 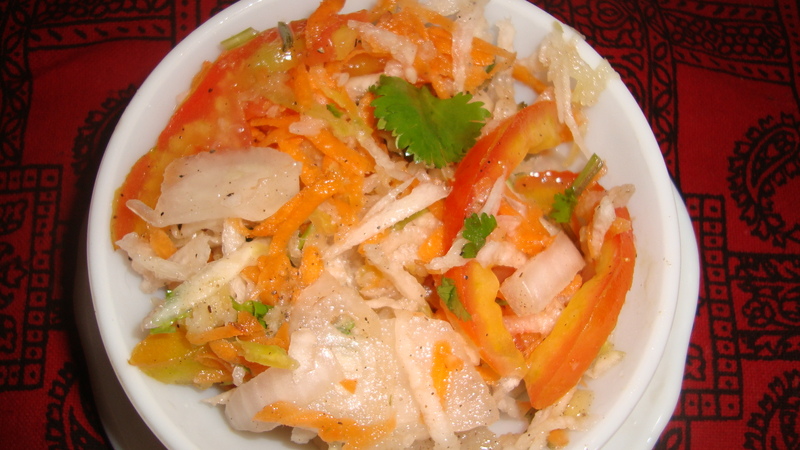 This is a side dish that my mother often makes at home. It can be eaten with hoppers, kiribath or in a sandwich. Mix the first nine ingredients (onions to lemon grass) in a bowl with a pinch of salt. Heat the oil in a shallow pan. When the oil starts to sizzle, add the mixed ingredients to the pan and keep stirring for 10 to 15 mins. 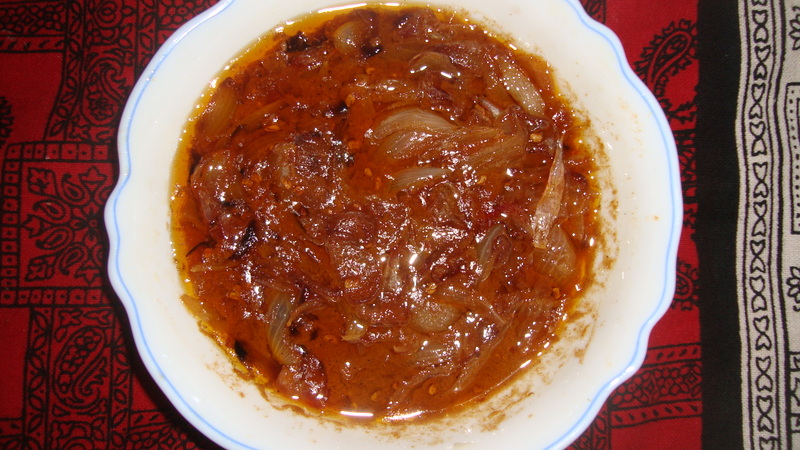 When the onions are well fried and dry, add the tamarind paste to the pan. Continue stirring until the ingredients are well mixed. Fry a few minutes longer until the mixture turns dark brown. Add the sugar and keep stirring for a little while longer. Adjust salt, if required, before removing from heat. 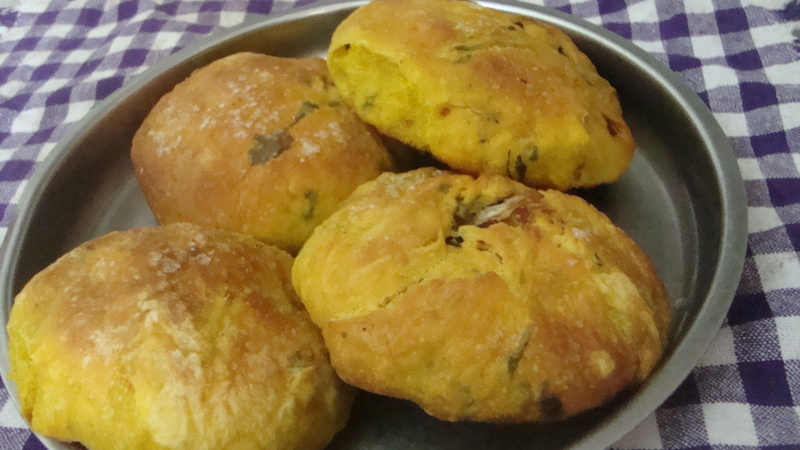 Today’s recipe is a lovely snack – fritters. I like the ash plantain fritters more than the onion ones. Boil the ash plantain and then peel. Slice the cooked plantain lengthwise into 4. Peel the onion and slice them, such that the rings in each slice do not fall apart. Make the batter by mixing the wheat flour, chilli powder, turmeric, salt and pepper with ½ cup of water. Dip the ash plantain and onion slices into the batter, coating them well. 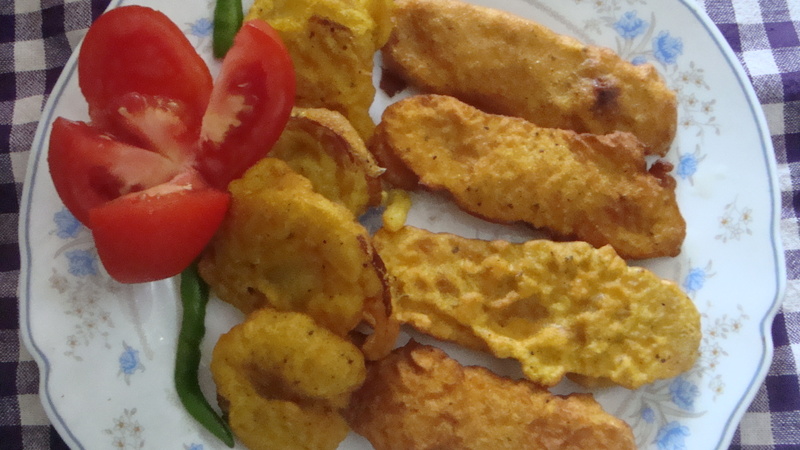 Deep-fry the batter coated ash plantain and onion slices until golden brown on both sides. Serve warm with tea or as a side-dish at lunch lunch. Today’s recipe is Vendhaya Kulambu/ Fenugreek curry, a Jaffna curry that is regularly made at home. Soak the fenugreek seeds in water for about 10 mins. Drain and keep aside. Heat a tbsp of oil in a pan and fry the soaked and drained fenugreek seeds for a couple of mins. Add the curry leaves and chopped onion to the pan, along with another tbsp of oil. Saute till the onion changes colour and the aroma of fried onions wafts about. Add ½ cup of tamarind juice and ½ cup of coconut milk along with the curry powder and salt to the pan. Mix well. Increase the heat and let the ‘kulambu’ cook for about 5 – 10 mins. Do not let it dry up. Add the remaining ½ cup of coconut milk and let it simmer for another 5 mins before removing from stove. 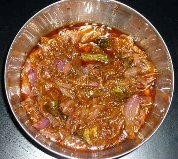 Serve with pittu or rice.